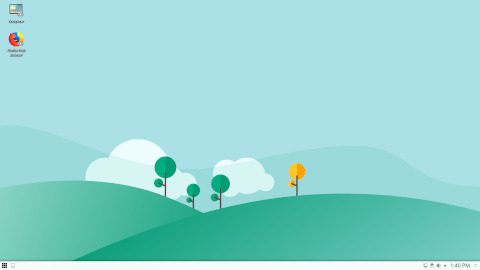 SuperX is a desktop-oriented computer operating system based on Linux, using a highly customized KDE desktop environment. Originally developed in India, SuperX is published by Libresoft, a startup with a free and open source software business model. SuperX is available in multiple variants, from a freemium variant for home users to a professional variant for enterprise users. SuperX strives to be "Simple User friendly, Powerful, Energetic and Robust eXperience". 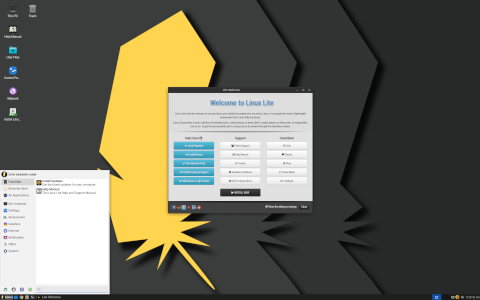 Rate this project Jerry Bezencon has announced that the initial beta build of the upcoming Linux Lite 4.2, a beginner-friendly desktop distribution based on Ubuntu, is now ready for download and testing: "Linux Lite 4.2 beta is now available for testing. This release has a number of minor changes. Think of it as 'refinement' and not a 'major upgrade'. There are some new wallpapers thanks and some minor tweaks here and there. The Help Manual will be updated for 4.2 in the final release. Details: Linux kernel 4.15 (custom kernels also available via our repository for versions 3.13 - 4.18), Firefox 62.0.2 'Quantum', Thunderbird 52.9.1, LibreOffice 6.0.6, VLC 3.0.3, GIMP 2.10.6." There are also several known issues in this release: "Is the slow boot fixed on some computers? That has yet to be tested. I have done some 'under the hood' work on this, but of course, we need testing on real hardware on an array of different computer configurations to know for sure. There is no upgrade to or from beta releases. Beta releases are for testing only and it is not recommended to run them as your main or secondary operating system." Read the rest of the release announcement for further information and screenshots. Download (MD5) the live DVD image from SourceForge: linux-lite-4.2-beta-64bit.iso (1,342MB, torrent, pkglist).